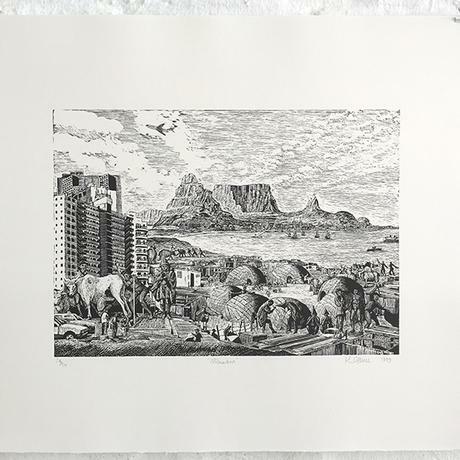 In this series I collaged together elements of contemporary views of Cape Town and old prints and paintings of the Cape colonial history in order to explore the shifting perspectives and power relations in how the Cape was represented (and in particular reproduced in print) in Europe at the turn of the 15th, 18th and the 21st centuries. 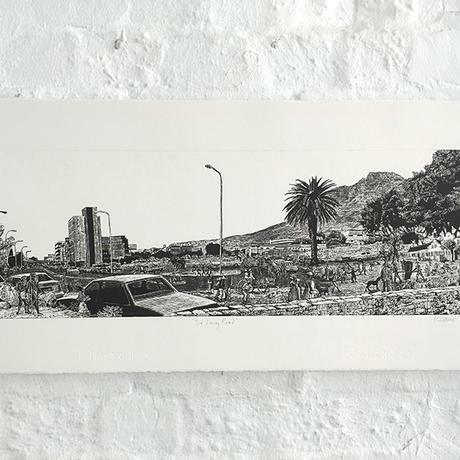 For example in Holiday in Cape Town in the 21st Century is a direct play on a painting, Holiday in Cape Town in the 20th Century by James Ford (1899), a 19th century imaginative projection of what Cape Town would look like in the 20th century. 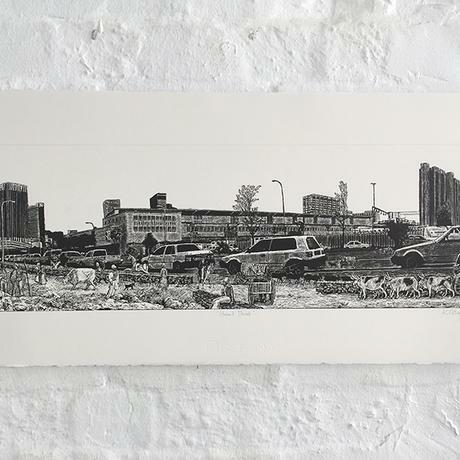 I collaged elements from this painting together with a photograph taken from a similar framing viewpoint as Ford’s painting. 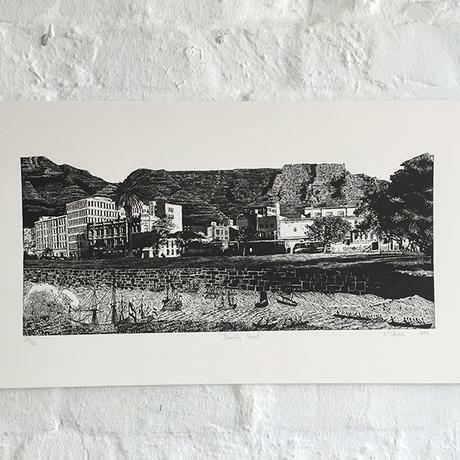 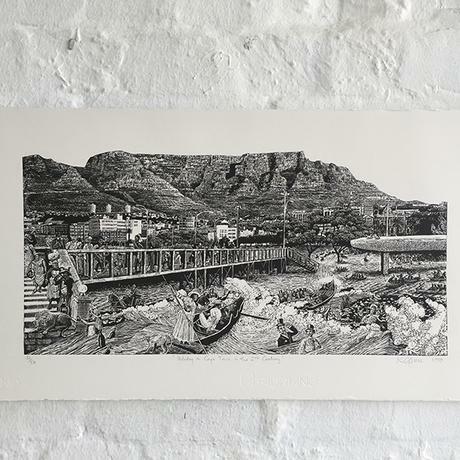 At the time of the painting Cape Town’s Strand Street was literally on the “strand” (which in Afrikaans means “beach”), before the inner city foreshore area was reclaimed from the sea. 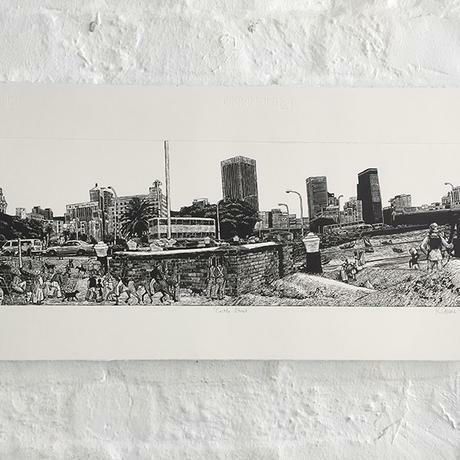 As a response to the historicity of Strand Street, I decided to flood the sea back into where it would have been in my print, creating an image that reflected the socio-political tensions and hopes for a new start for the city and nation at the turn of the millennium.